SOMIC stands for packaging solutions you can count on. With more than 40 years of experience in end-of-line packaging we provide you with packaging machines, case packers, handling and transport systems. Our solutions boast outstanding performance and flexibility with surprisingly compact dimensions. The name SOMIC guarantees reliability from the very beginning, from the investment decision to seamless operation. We work for quality suppliers in the food, pet food, pharmaceutical and non-food sectors. We demonstrate quality when it comes to case packaging. We specialise in end-of-line case packaging. 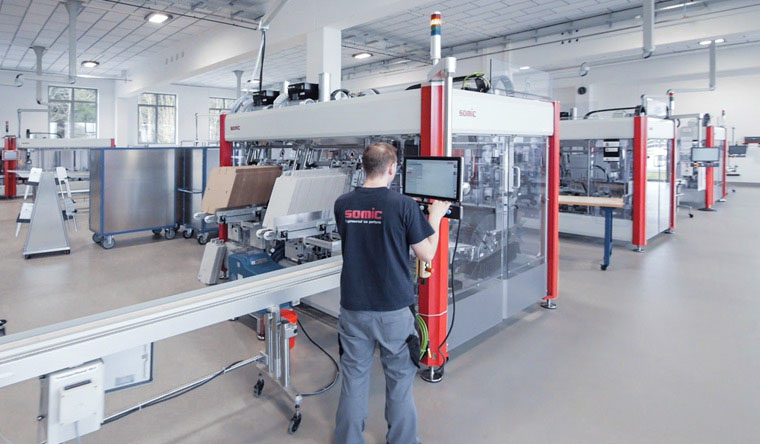 SOMIC packaging machines can be adapted to accommodate a whole host of products, formats, groupings and packaging types. We’ll be happy to advise you on which packaging concept is most suitable for your product. The SOMIC modular system allows our machines to be expanded at any time and adapted to meet new requirements. A view of the world, natural beauty at your doorstep. Welcome to our team! 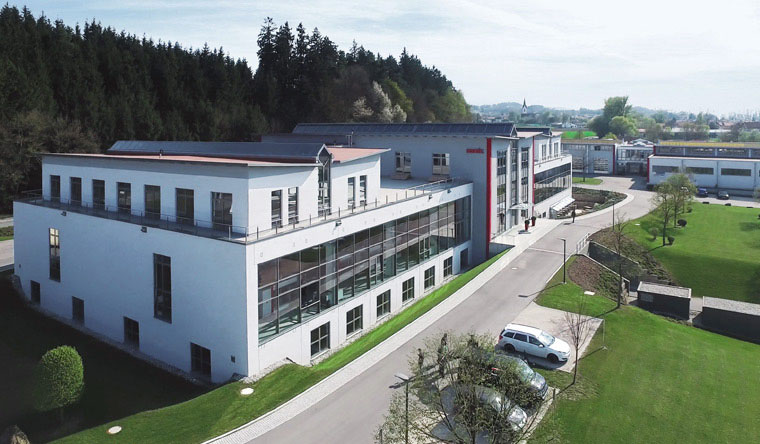 SOMIC combines Bavaria’s quality of life with the reliability of a global leader in the manufacture of machines. Just 17 kilometres from the banks of Chiemsee. On the safe side: experience since 1974. 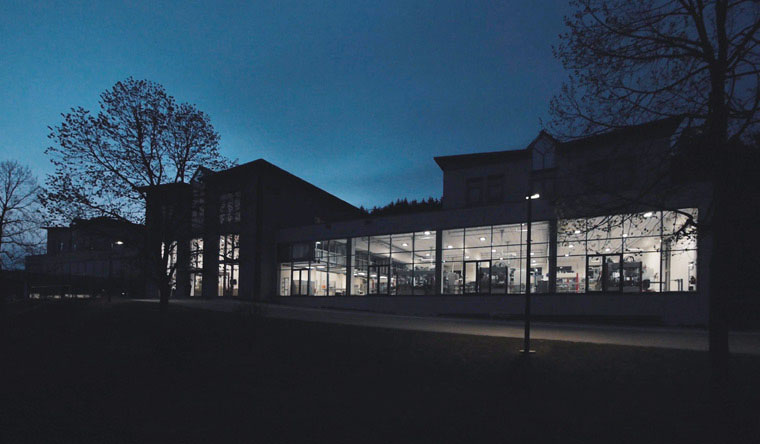 SOMIC is a medium-sized family-run company based in Bavaria, which means we’re deeply rooted and think in terms of generations rather than quarters. We can draw on our extensive experience and believe in continuous improvement. In other words, precisely what German engineering has always represented. Our services pack quite a punch. You can count on that. Advice, training, maintenance and support – our service employees are there when you need them.